Kevin Hermes submitted this photo and caption. Let us give some memory to those corps who are not so recognized but were quality drum corps. 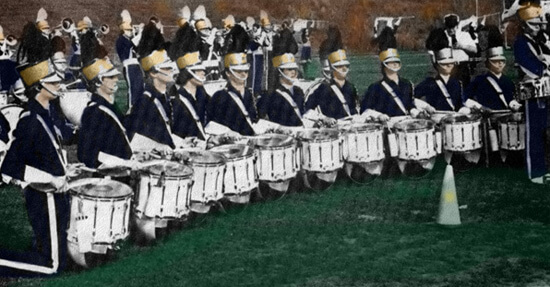 Here is a photo of the Defenders Drum and Bugle Corps snare line of Rockland, Mass., from 1979 in Allentown, Pa.